With “Project Smear” being conducted against Nicola Sturgeon, following her triumph in the UK leaders debate, no doubt “Project Fear” will erupt a week or so before the general election. It is evident that the full power of the unionist parties and the Westminster establishment will be savagely arraigned against the SNP before the 7 May vote. However, in Scotland, with the posturing and tacit agreement of further austerity cuts and renewal of Trident from the three major parties, the social democratic mantel has definitely passed to the SNP. Heads should roll in the Scottish Office when it is established who was responsible for the damaging, fictional memo about Nicola Sturgeon expressing a preference for David Cameron remaining in Downing Street. So should the heads of those politicians and journalists who perpetuated the myth. Whether or not she said she did not consider Labour leader Ed Miliband to be prime minister material is in every respect irrelevant to what was fabricated by civil servants. The vast majority of SNP supporters, and most likely most Labour supporters, would concur with that sentiment, in any event. Nevertheless, that is not remotely to say that they would prefer the continuation of rigorous Tory rule with the ineffective Cameron at the helm. As Brian Monteith observed (Perspective, 6 April), it has been a mantra endlessly repeated by SNP leaders that Scotland has been ground down by Tory governments. 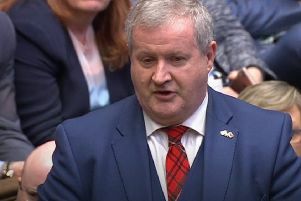 What also gave “Nickileaks” traction was the election debate that was the first time many had heard the First Minister apart from her “stair-heid rammy” during the referendum. She denies saying that she wanted a Tory win because it would make it easier to break up the UK or that the fratricidal union-placeman Ed Miliband was “not prime minister material”. The problem is not only are both assessments almost certainly correct, the turn of phrase used in the “leak” sounded like those she employed so effectively in the debate.